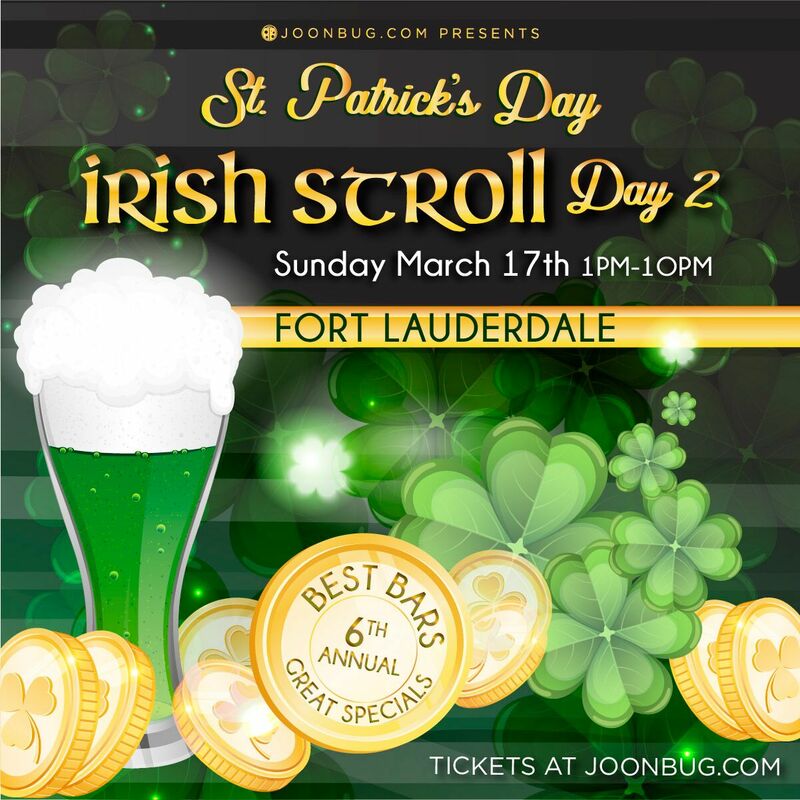 It’s time to celebrate St. Patrick’s Day again, Ft. Lauderdale, and that means it’s time for the Irish Stroll. Our weekend-long extravaganza culminates in the legendary bar crawl on the official lucky day. Paint the town green and hit up your top watering holes as they celebrate the Emerald Isle. Every stop will feature exclusive drink specials and cover charges will disappear for the holiday. Keep your pint full all day and night on Ft. Lauderdale’s Irish Stroll and show St. Pat how we honor the clover’s history. Grab your friends and meet at the registration destination from 1pm to 8pm and to get your wristband and map that directs you to all of your favorite hotspots. If you’re traveling with a group, a discount for over four is available for a deal! Enjoy the whole weekend of events with a multi-day pass for non-stop partying. Food Specials: "Cauliflower Popcorn $4, Crispy Vegetable Spring Rolls $4, Eggplant ‘Meat’Balls $5, Mac & Cheesy $5, Nachos $5, Shrimp Rangoon $5, Any Style Wings $5, Chicken Taco $2, Beef Slider $2, Short Rib Slider $3 "